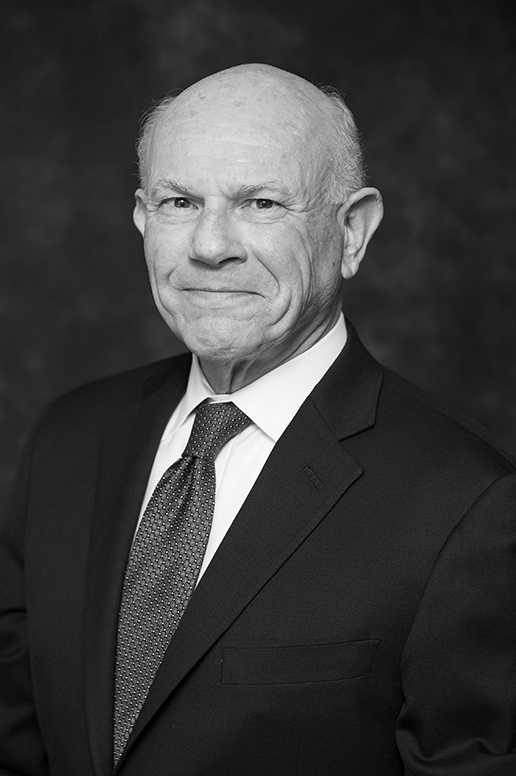 Steven H. Baer joined High Ridge Partners in 2013, bringing over 40 years experience in banking, real estate, business leadership and distressed business consulting. As a turnaround advisor, he has assisted a variety of businesses in diverse industries throughout the United States. Mr. Baer has successfully arranged strategic business and asset sales, negotiated forbearance agreements and coordinated financial restructuring for both troubled businesses and commercial real estate, on behalf of banks and their borrowers. He has been appointed by the Federal Bankruptcy Court as Chief Restructuring Officer and Financial Advisor and has been a state court receiver for more than 300 operating businesses and commercial real estate projects. Mr. Baer has extensive experience in commercial lending, asset based lending, real estate lending and operating or advising privately owned businesses. He has successfully advised, managed, restructured, refinanced or sold businesses in a wide variety of industries and in commercial and industrial real estate engagements throughout the country. Noteworthy projects include: Receiver of The Silver Tower, a 40 story new construction condo high rise in downtown Chicago; CRO of a tier 1 automotive parts manufacturer in Brockway, Pennsylvania; Receiver of Kendall Market Place, an 450,000 square foot retail mall in Yorkville, Illinois; Receiver of a high end door manufacturer in Fort Collins, Colorado; Court appointed Financial Administrator of a 15,000 member mega church in Northwest Indiana; Receiver of a 650 room hotel in Owensboro, Kentucky. Prior to joining High Ridge, Mr. Baer was a partner for 10 years at the restructuring and turnaround firm of Rally Capital Services, LLC., where Mr. Baer developed one of the most active and respected receivership practices in Chicago. In addition to his experience in the turnaround and restructuring profession, Mr. Baer’s professional experience includes 8 years as President and CEO of Koenig & Strey Financial Services, a residential mortgage banking company. Under his leadership and guidance, that company became highly profitable and was positioned for sale and sold to GMAC in 1999. Mr. Baer began his professional career in 1973 as a commercial banker at American National Bank & Trust Company of Chicago, which is now a part of JP Morgan Chase. He served that institution for 20 years as Senior Vice President and Group Head of Asset Based Lending, Loan Workout and Commercial Real Estate. Mr. Baer holds a Bachelor of Science in Business Administration (1972) and a Master of Science in Business Administration (1973) from The University of Denver. He has been a guest lecturer at Chicago Kent and John Marshall law schools, is a member of the Turnaround Management Association and The Economic Club of Chicago, and serves as a board member of Lake Forest Open Lands Association, The Lake Forest Land Foundation and previously served as a board member of FirstMerit Corporation.